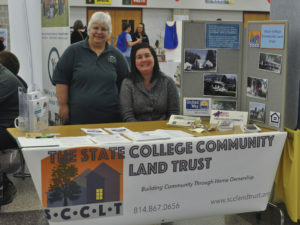 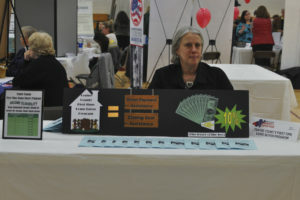 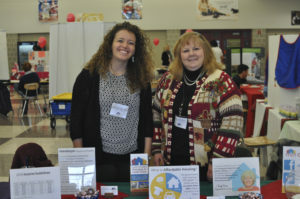 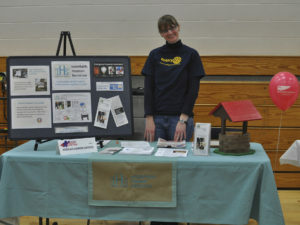 Thank you for stopping by our table at the Centre County Community Fair on Saturday, November 19th! 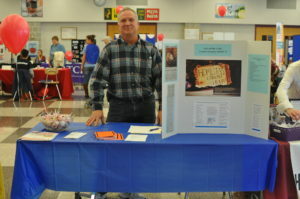 Keep reading to see a few Super Fair photos. 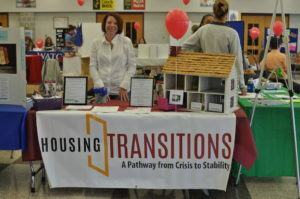 At our table, we shared about why we believe it is important to develop and steward permanently affordable homeownership opportunities in Centre County. 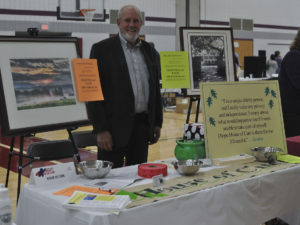 I was joined by a few of our Board members throughout the day, Mary Wilson and George Khoury with some clean-up help from Brodie Dalton. 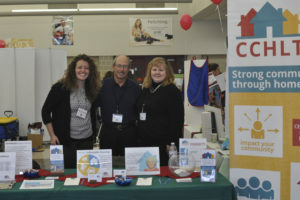 If you have any questions, contact me at director@cchlt.org. 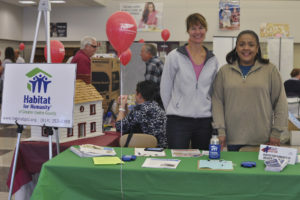 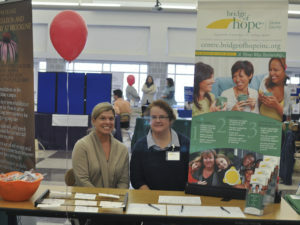 Thank you for stopping by the Centre County Community Super Fair at Mount Nittany Middle School! 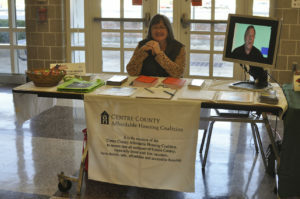 Below are some photos from our fellow housing-focused organizations in Centre County.